Be one of twenty winners weekly to win $100 worth of meal vouchers in just three simple steps! 3) SMS “Restaurant Code” <space> Name <space> NRIC <space> Receipt Number” to 87980776. Promotion period: 17 April to 28 May 2017. 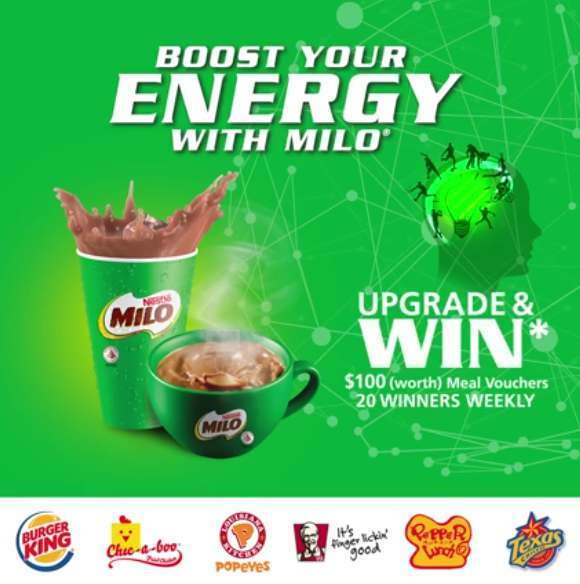 Find out more at MILO Singapore.